Grey Day has come and gone. LSAT scores are out. Congratulations to all who wrote the June exam! 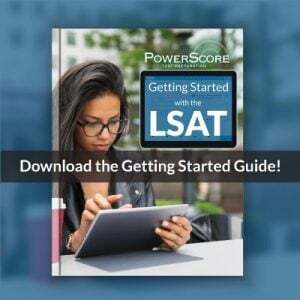 For everyone preparing for an upcoming LSAT or interested in the breakdown of the June LSAT’s composition, we’ve analyzed the test in detail and would like to share our insights with you. Today we’ll get our recap kicked off with Logical Reasoning. Subscribe to this blog to get notified of our upcoming posts, including complete video explanations of the games and an in-depth recap of Reading Comprehension. Heavy use of conditional reasoning and formal logical structure on a broad cross-section of questions. Continued importance of causal reasoning, but principally on a restricted set of question tasks. Compared to the December 2016 test and statistical averages, a higher ratio of Weaken questions to Strengthen questions. Use of a couple minor informal fallacies. Read below for a detailed discussion of the above points and statistics about the questions. Overall there were twenty-six questions in the first LR section and twenty-five in the second. As usual, there were more “Help” task questions than “Hurt” task (Weaken) questions, but there was one more Weaken question than there were pure Strengthen questions. Causal reasoning remains of paramount importance, but note that causal flaws and tasks were restricted principally to Weaken, Strengthen, and Resolve the Paradox questions. One flaw question tested causal reasoning. In general, causal reasoning was more significant on less challenging questions on these LR sections. The following table is an overview of some of the principles of argumentation and fallacies that appeared on this test. Fallacy of Composition 2 One is actually an assumption that “emergence” (composition) does not occur while it actually could! Note that a strong grasp both of conditional reasoning and formal logical fallacies was essential to success on this administration of the LSAT. Overall, our impression of these Logical Reasoning questions is that they were par for the course. Along with the (relatively) unremarkable Analytical Reasoning section, these LR sections account in part for the tight -9 curve on this LSAT. There was a challenging parallel question at the end of the second logical reasoning section, but as with every other question, there was no situation presented that was so confounding that a correct use of your LR process couldn’t overcome the challenge. For instance, this Parallel question could be reduced to a modus tollens single conditional/contrapositive structure and compared quickly to the answer choices. You might be wondering about the “dad joke.” LSAT humor is a subject unto itself and could be discussed at length, but every once in a while you might come across some (very dry) wit in a question. On this test it happened in a “kids these days!” scenario on a Must Be True question. At least we have some evidence that the LSAC does not take itself completely seriously! If you are preparing for the September or December LSAT, what should you observe from the June 2017 Logical Reasoning sections? The LSAC did not reinvent the wheel here. Few surprises means proceed confidently with existing, tried-and-true approaches to LR problems. Continue to master the fundamentals. Even experienced instructors and masters of the LSAT can benefit from revisiting the basics. Ensure that you have a strong grasp of inferences, deduction, conditional reasoning, and common flaws, especially causality. Do not overlook minor flaws and informal fallacies. Your ability quickly to describe some of these less-common situations will strengthen your ability to prephrase/predict the answer and maintain your momentum throughout the test. Don’t expect any administration to be a carbon-copy of any previous administration. Expect variations from test to test, but know that your strong skill set will translate to an excellent performance no matter what appears on your test. 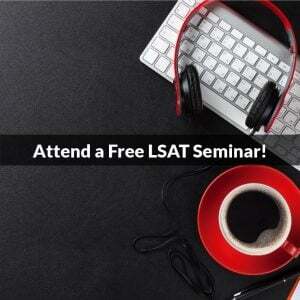 We encourage you to join us in our LSAT Forum to share your comments and insights about the June exam. The discussion in our forum is ongoing, and our expert instructors are ready to respond to your questions. Subscribe to the blog and stay tuned for the next installment in our June 2017 recap! There was a Weaken question that had to do with people’s estimation of time spent exercising based on watching a video of *themselves* exercising. The trick was that the credited response involved people who watched a video of their *identical* twin exercising were likely to overestimate their performance. This kind of apparent bait-and-switch that’s actually not we’ve noted is a rather common ploy on harder LR questions. Having read the PS books, you’re probably familiar with the idea of Shell Game problems. This is a situation of a “Shell Game that wasn’t”: the twin is not enough of an issue to prevent this answer from being the option that *most* weakens this argument. In general, a good way to self-test mastery of the concepts noted above is to assess your ability confidently to describe the structure of LR questions, make a rock solid prephrase, and then to find not only the correct answer that matches but understand how the incorrect options are designed to be attractive wrong answers. In addition, a backwards-and-forwards knowledge of common flaws in reasoning can help to keep you grounded while doing these questions. When you recognize causality or some other flaw, you can start filling in the blanks and noting how the structure of these stimuli fit into existing templates. Even as part of my professional development, I continue to revisit basic concepts (covered in the earlier chapters of the PS books) both in our PowerScore material and even in some old college number theory and logic texts I’ve hung onto. I don’t think I’ll ever truly “master” even the basics, but I continue to challenge myself. 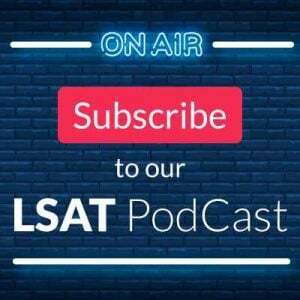 As a student, if you are planning to take the LSAT again, work confidently through the material. Be diagnostic in your approach. Revisit and attempt questions multiple times to derive principles you can use to deal with similar situations on the test. Finally, maintain a strong positive attitude and momentum in your preparation. There is sound empirical evidence that such confidence and expectation of success contribute to strong performance on the test itself. Please continue to take advantage of our LSAT forum and other resources. We are here to help! Thanks for the great question.